Movie Night at the DGS track tonight! 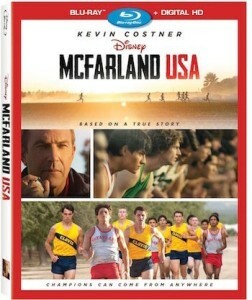 Everyone is invited to come see McFarland USA at 8:00pm at the DGS track! Bring a chair or blanket and movie snacks. Author Coach PlunkettPosted on July 27, 2015 Categories Cross CountryLeave a comment on Movie Night at the DGS track tonight! 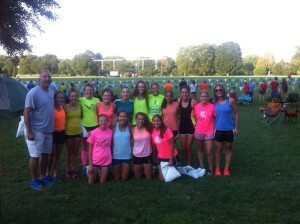 On Friday, July 24, fourteen DGS runners traveled to Peoria to compete in the Detweiller at Dark race. It was a 3-mile race on the historic Detweiller Park course that also hosts the IHSA State Meet. The race went off at 9:00pm, hence the ‘at Dark’ part of the name. The course was lit up in key places with portable lighting while music from huge speakers blared throughout the park. The center of the park provided a smoke and laser light show. It was certainly not your typical cross country race experience! Although this was not an official DGS high school meet, it was an opportunity for several girls to test their fitness and gain some more experience on the Peoria course. Our girls were split into two teams of seven runners in the HS girls division. The DGS White team placed 6th out of 22 competing teams, while the DGS Blue team placed 15th. National powerhouse, Carmel, Indiana took 1st place overall, while IHSA 2A state champion Yorkville took 2nd place as a team. Junior, Katie Stapleton was the top DGS finisher, placing 27th out of 254 runners with a time of 18:58. All fourteen DGS runners placed in the top 150. DGS results can be found HERE. The first official DGS cross country meet will take place on August 24 at the Yorkville Invitational. The entire DGS CC team will return to compete at Detweiller Park on September 12 in the ‘First to the Finish’ Invitational. Hackbarth named 3A distance athlete of the year! We are extremely proud to announce that Michaela Hackbarth was chosen out of a very talented group of Illinois distance runners to be honored as the DyeStatIL Illinois 3A distance athlete of the year. You can read the article HERE. Author Coach PlunkettPosted on July 17, 2015 Categories Track & FieldLeave a comment on Hackbarth named 3A distance athlete of the year! Information for the 2015 Girls CC Camping Trip to Rock Cut State Park is now posted here.